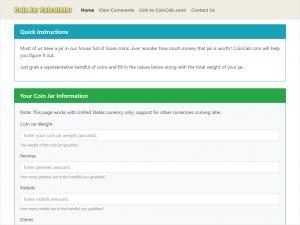 Did CoinCalc.com accurately predict the value of your coin jar? We want to know! Note: Don’t want to create a disqus account? After typing your comment proceed to type your name, email, and check “I would rather post as a guest”. Then click on the submit button arrow.